Bonfire Media is a worker-owned production company focused on telling human stories that catalyze social change. We are a dynamic and varied team of media makers, both as freelancers and core members. Check out our current members below! Josh Graupera is a Philadelphia-based artist and activist. Born in Lancaster, PA, he graduated from Millersville University with a BFA in Painting in 2014. Over the years, he has participated in residencies and fellowships at the Skowhegan School of Painting and Sculpture, Media Mobilizing Project, Second State Press, Chautauqua School of Art, Haystack School of Crafts, the New York Studio School, the Fabric Workshop and Museum’s Apprentice Training Program, 40th Street Artist-In-Residence Program and the African American Museum of Philadelphia’s Art and Social Change Residency. He is an Arts and Media organizer with Stadium Stompers, a group of community residents and students fighting Temple University’s plans to build a football stadium in a residential neighborhood. He has worked as an educator with Al-Bustan Seeds of Culture, ArtWell, Fleisher Art Memorial and the Fabric Workshop and Museum. 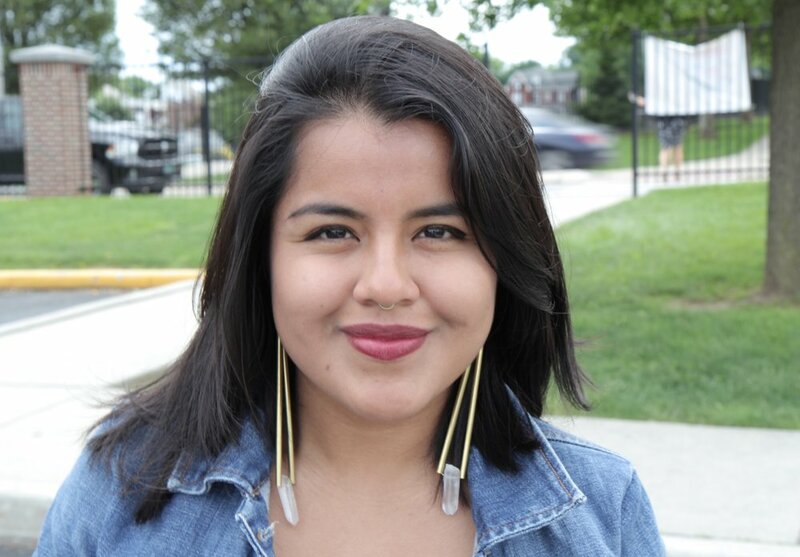 Sheila Quintana is a Philadelphia-based organizer and media-maker. Originally from Mexico, she grew up in small town Pennsylvania and now calls Philadelphia home. In 2011, she began working with Media Mobilizing Project on community-based storytelling in immigrant communities organizing for human rights. With Movement of Immigrant Leaders in Pennsylvania, a statewide network of immigrant communities, and other migrant justice organizations, she has led dozens of workshops on human and civil rights and several campaigns against the detention and deportation of immigrants. She has also worked on issues of mass criminalization and health justice through media and political strategy, community organizing, direct action and advocacy. Sheila attended the University of Pennsylvania. 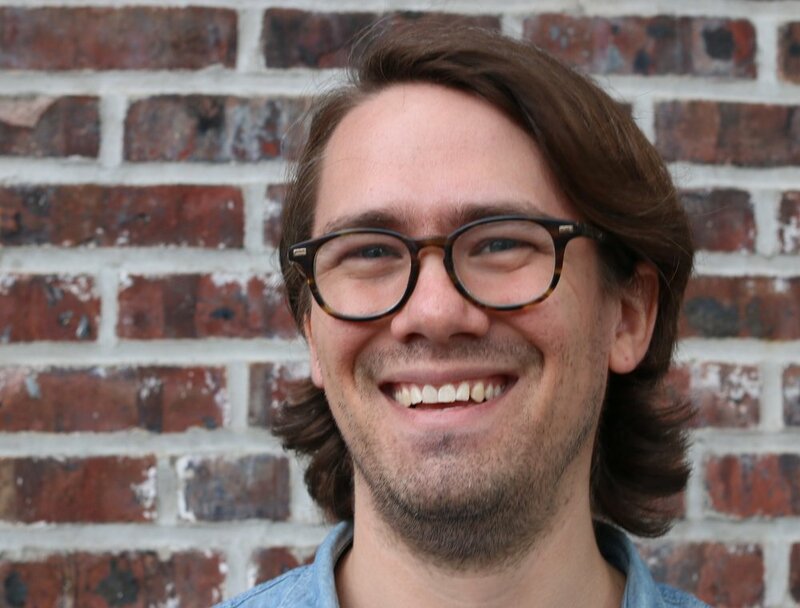 Ben Felker-Quinn is an educator and media-maker. He believes that sharing our stories with each other allows us to read our world more critically. Ben grew up in a small cement town in the Lehigh Valley. He studied philosophy and Russian culture at Hampshire College in Massachusetts and in Russia. He worked in the oral history archive at the Civic Media Center in Florida, and he has participated actively in solidarity movements with the Coalition of Immokalee Workers and a few anti-prison organizations in Philadelphia. As media-maker and organizer, he helped to found Schools Unifying Neighborhoods (Philly SUN) in 2016 under the Media Mobilizing Project. He is currently finishing an M.A. in education at Goddard College and then will be looking to teach in Philadelphia. In 2016, a book containing his translations of Russian poets of the Leningrad Siege was published by Ugly Duckling Presse. Alex is a filmmaker, videographer and photographer from Philadelphia. He has been making media and organizing with Media Mobilizing Project since 2010. Alex has also worked with the American Friends Service Committee, Neighborhood Bike Works, and the Philadelphia Zoo. When he’s not making videos with Bonfire, Alex is a comedian and an avid karaoke singer. Maddie Taterka is an editor of words and video, a writer and a videographer based in Philadelphia. 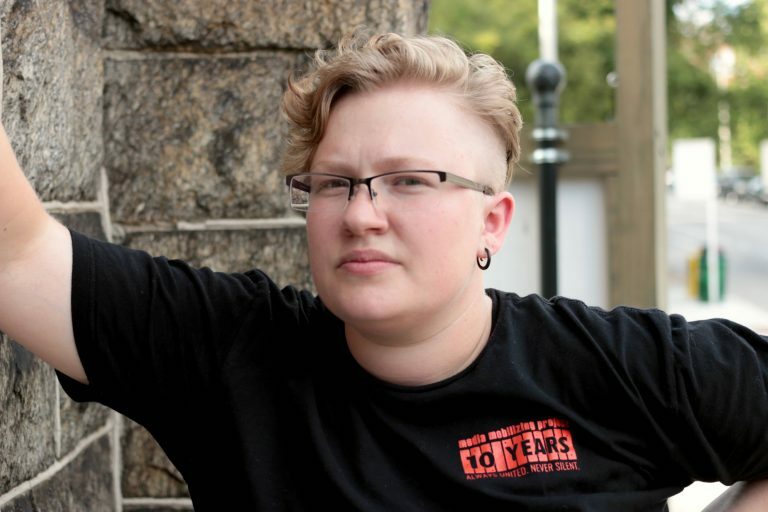 Maddie has been making movement media since 2013, when she joined the staff of Autostraddle to report on queer grassroots movements across the United States. In 2016, Maddie pivoted to video and became a Movement Media Fellow with the Media Mobilizing Project. She's worked on video projects with clients including the Stadium Stompers, the Philadelphia Area Cooperative Alliance, Rutgers AAUP-AFT, Head Start of Pennsylvania and 215 People's Alliance. Maddie also worked as a copy editor for Mic from 2016-2018, and was a key member of their successful union organizing drive in 2017 and 2018. In her spare time, Maddie does crossword puzzles and organizes for our human right to healthcare with Put People First! Pennsylvania. 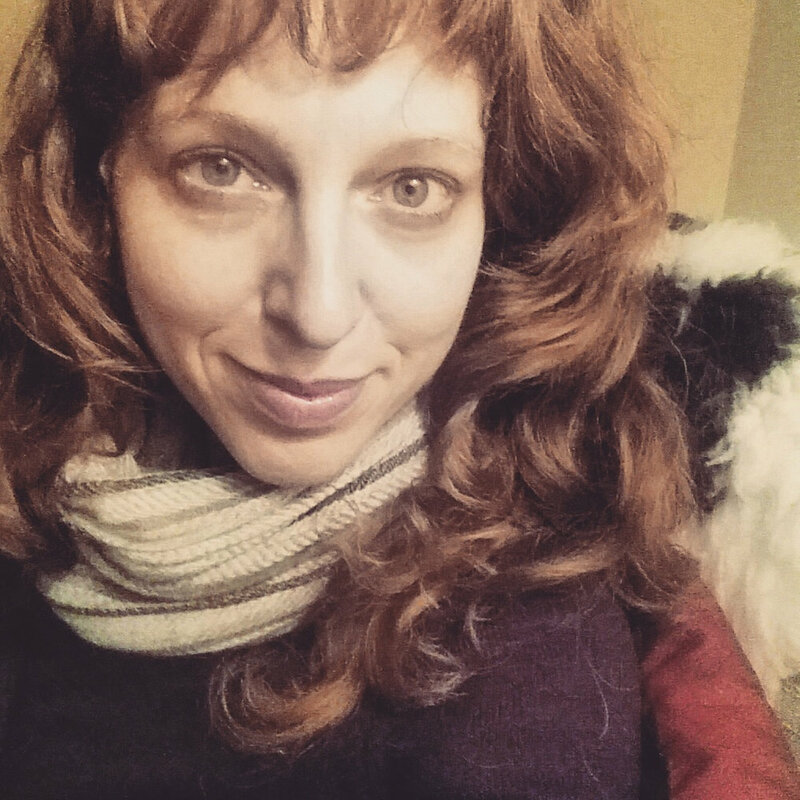 Maddie is a founding worker-owner and the administrative coordinator of the Bonfire Media Collective. A lifelong Philadelphian with years of experience in filmmaking, rock band wrangling and mothering, Emily has mastered the art of creative problem solving and schlepping gear. After taking part in Media Mobilizing Project’s Movement Media Fellowship she helped to develop Bonfire Media Collective with the group of passionate, like minded individuals she connected with there. She’s produced many, mostly documentary/educational videos (partial client list: UCGreen, Philadelphia Area Cooperative Alliance, Greenworks TV, HeadStart, University of the Arts - admissions videos, Boys to Men Mentoring Program, Universal Charter Schools, Witch Camp, Fast Fresh & Simple, Grupo Novo, The First Twenty, Africa Mia - 16mm doc, Biodiversity: Every Living Thing) Coming from a fine art background, she has a sharp eye for detail, composition and continuity. She now lives in Germantown, a few minutes from where she was born on a kitchen table in the Wissahickon. Emily has a BFA in Film from the University of the Arts. Helyx Chase Scearce Horwitz is a video artist, technologist, and activist who is committed to the power of story. They began producing, editing, and directing video projects at the age of 14. Since then they have worked on documentaries, non-fiction and experimental narratives, multi-channel video installation, archival video presentations, and oral history video production. Their video art is built by, about, and for televisions and computers. Helyx is fascinated by the ways in which we organize and process our information-saturated world. They are currently employed as the Technology Manager at the Media Mobilizing Project where they spend their time untangling cords, fighting with the internet, and seeking out technology strategies that meet the needs of MMP and the organizations that MMP works with. Milena is a movement storyteller, filmmaker, organizer and educator. At Media Mobilizing Project, Milena has trained and supported movement media makers and coordinated the production of media telling the untold stories of everyday people fighting for a better world since 2011. As a developer of Bonfire Media, she has continued to work with members of MMP’s media maker community to grow new infrastructure to tell powerful storytelling for social change. Previously, Milena worked as a local news reporter for Al Día, a Spanish-language weekly newspaper covering Philadelphia’s Latino community. She has also built community radio stations with the Prometheus Radio Project, taught journalism at Temple University and interpreted between Spanish and English in courtroom, community, and healthcare settings. Originally from Chile, Milena calls Philadelphia home. Milena holds a B.A. in History from Swarthmore College. T.C. Owens is a folklorist and media-maker. Since 2008, he has worked collaboratively to document, preserve and present the vital community traditions and stories of working communities. While at the Philadelphia Folklore Project, he worked on "Eatala: A Life in Klezmer" (2010), a documentary about klezmer drummer Elaine Hoffman Watts. As a media organizer with Media Mobilizing Project he co-produced "Building a Sandcastle: A Broken Promise to Atlantic City" (2015), "A Valley with a Heart" (2015). He is the director of "Our Side: The Other Atlantic City" (2017). While with MMP he has built partnerships across South Jersey, coordinated MMP's Media Fellows program, and facilitated some of the development of Bonfire. He holds an MA in Folklore from the University of North Carolina in Chapel Hill. His master’s thesis documents cultural impacts and collective responses of resistance to the fracking industry in Northeast Pennsylvania. Aleks Martray has been a filmmaker, composer and arts educator since 2005. In 2007 he co-founded Art of Solidarity, a media collective and cultural exchange program in Nicaragua that has produced over a dozen collaborative films, exhibitions, and public works of art. Since 2008, Martray has worked with Scribe Video Center facilitating and producing community-based documentaries and media workshops. His work been screened internationally at film festivals, museums and on television. He is currently the Executive Director of Big Picture Alliance, a nonprofit organization that uses filmmaking to engage, educate and empower Philadelphia youth. Martray holds a Bachelor of Fine Arts and Master of Arts in Community Arts from the Maryland Institute College of Art (MICA).